Often taken for granted, the monotonous task of brushing and flossing our teeth daily has never been more important in order to avoid periodontal disease known as gum disease and the risk it places on our overall health. It has been estimated that 75 percent of Americans have some form of gum disease, which has been linked to serious health complications and causes various dental problems that like periodontal disease, are often preventable. Periodontal disease – Untreated gingivitis may lead to this next stage of gum disease. With many levels of periodontal disease, the common outcome is chronic inflammatory response, a condition when the body breaks down the bone and tissue in the infected area of the mouth, ultimately resulting in tooth and bone loss. Heart disease and stroke – Studies suggest gingivitis may increase the risk of heart disease and stroke because of the high levels of bacteria found in infected areas of the mouth. As the level of periodontal disease increases, the risk of cardiovascular disease may increase with it. Other studies have suggested that the inflammation in the gums may create a chronic inflammation response in other parts of the body which has also been implicated in increasing the risk of heart disease and stroke. Diabetes – People with diabetes often have some form of gum disease, likely caused by high blood glucose, according to the U.S. Centers Disease Control and Prevention. 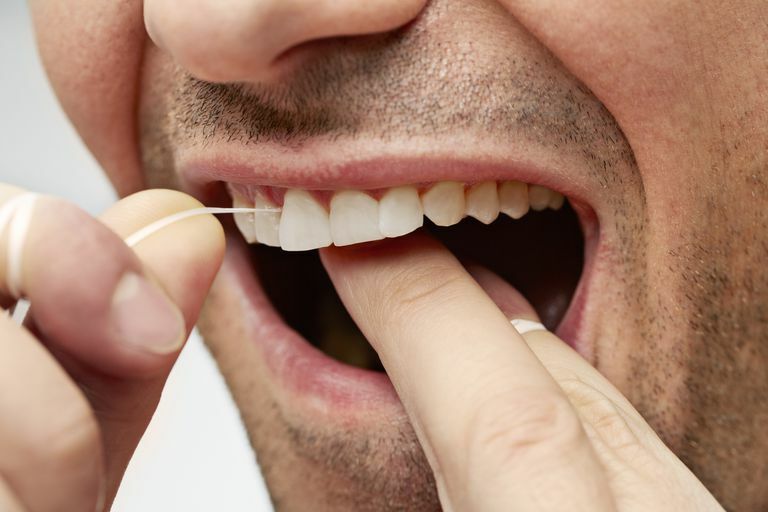 People with diabetes need to take extra care to ensure proper brushing and flossing techniques are used to prevent the advancement of the gum disease. Regular check-ups and cleanings with your dental hygienist should be followed. Chronic kidney disease – A study, conducted by Case Western Reserve University, suggests that people without any natural teeth, known as edentulous, are more likely to have chronic kidney disease (CDK), than people with natural teeth. CDK affects blood pressure potentially causing heart disease, contributed to kidney failure, and affects bone health. Preterm birth – Babies that are born premature (before 37 weeks of gestation), may face numerous health complications. Research indicates that women with periodontal disease are three to five times more likely to have a baby born preterm compared to women without any form of gum disease. Women are more susceptible to gingivitis when pregnant and should follow their regular brushing habits, and continue with dental cleanings and examinations. Proper brushing and flossing is the easiest way to reduce and prevent gum disease, but regular cleanings with your dental hygienist or dentist are necessary to remove calculus and treat advanced gum disease. If you are concerned that you may have gum disease, contact your dentist. American Academy of Periodontology. "Chronic Kidney Disease Risk" October 14, 2008. American Academy of Periodontology. "Gum Disease and Your Heart" January 8, 2008. American Academy of Periodontology. "Inflammation and Gum Disease" November 24, 2008. American Academy of Periodontology. "Oral Health During Pregnancy" November 12, 2007.